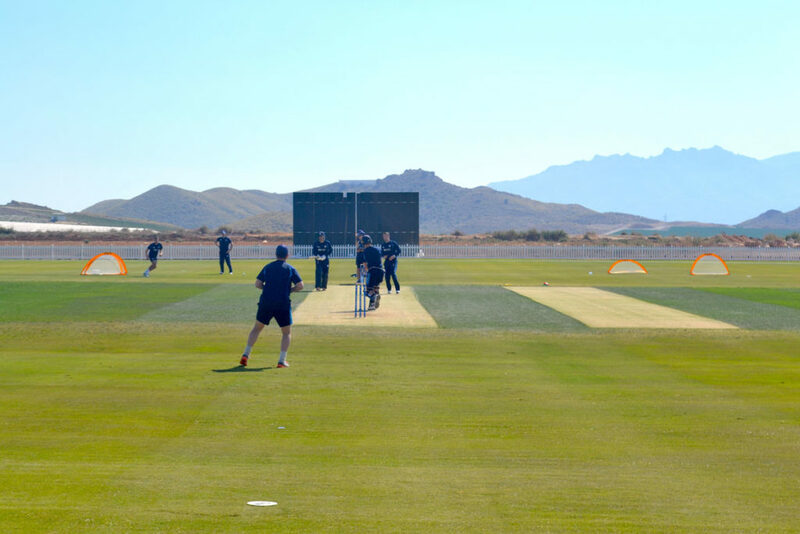 Fourteen (14) members of Derbyshire County Cricket Club, accompanied by Assistant Coaches Steve Kirby and Mal Loye, Operations Manager Dan Wheeldon, Physiotherapist Fran Clarkson, Strength & Conditioning Coach Jonty Norris and Analyst Jon Bateson, are now back in England having completed a successful 4-day training camp between Tuesday 12th – Saturday 16th March at Desert Springs Resort, Europe’s only international award-winning luxury family resort and championship desert golf course with its very own dedicated Cricket Ground and Academy, in the Almanzora region of Almeria, Andalucía in south-east Spain. 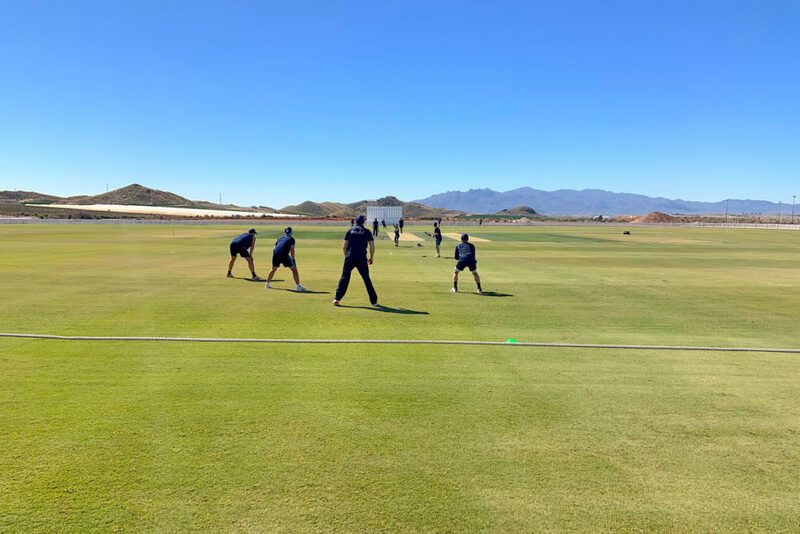 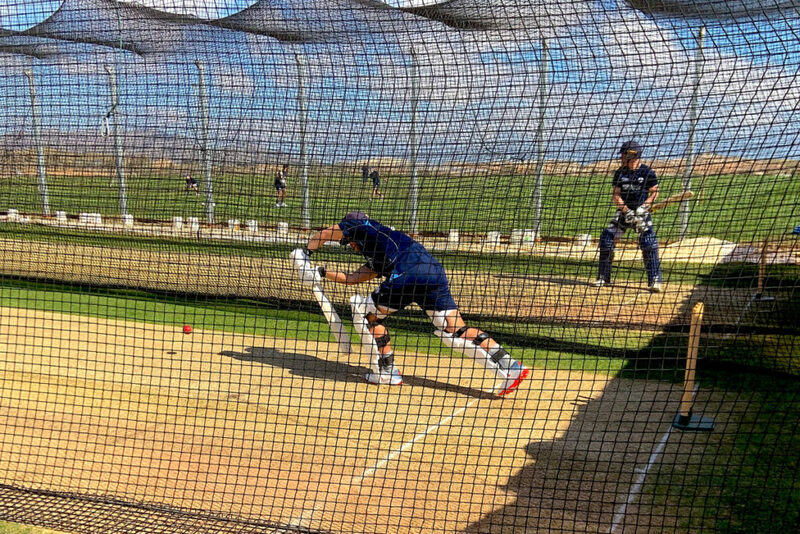 Grass net practice, both bowling and batting took place at the Cricket Academy, whilst out-field practice, bowl through simulations, strength and conditioning work, running, speed and agility work all took place at the Cricket Ground. 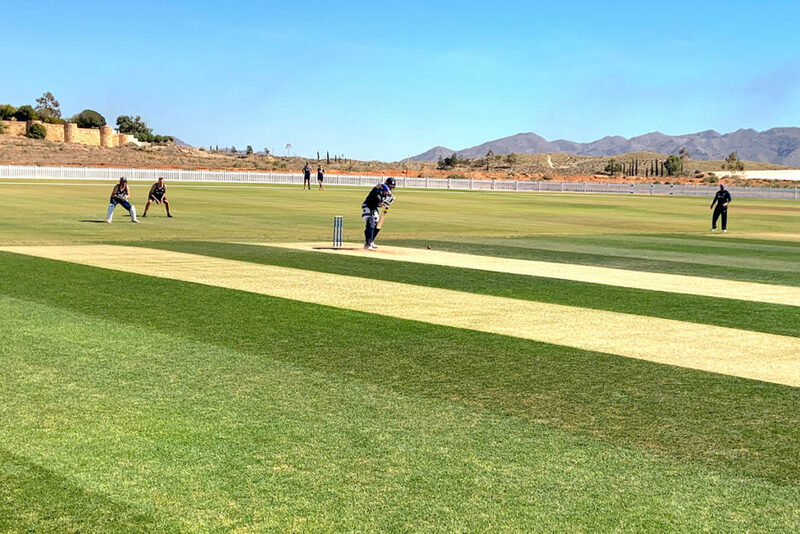 The players and coaches were accommodated in some of the privately-owned apartments reserved for holidays and short breaks at Desert Springs and the resort’s executive chef was on hand to cater for the special dietary requirements of individual players dining in El Torrente Restaurant.